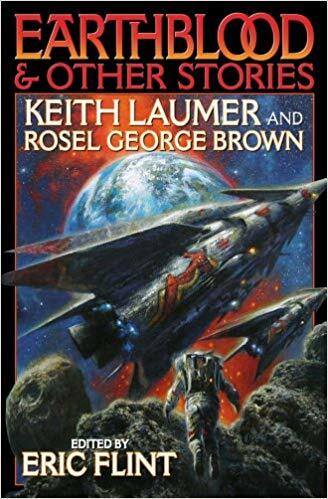 Science fiction writer Rosel George Brown is one of the unsung authors of the speculative fiction world. 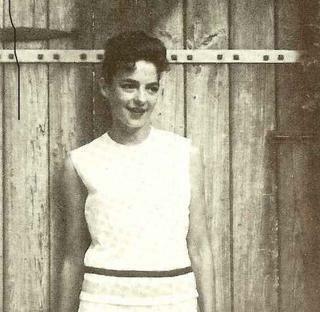 Her life was cut short in 1961 by lymphoma. She was only 41. Brown was honored posthumously in the fourth Nebula Award Anthology, which printed her obituary by Daniel F. Galouye, and by Anne McCaffrey, who dedicated her anthology Alchemy & Academe (1970) to Brown and several others. Brown was first published in Galaxy magazine, with the short story "From an Unseen Censor" (1958). Twenty more short stories followed, published between 1959 and 1964. She was nominated for the Hugo Award in 1959 as best new author. Her last short story "The Artist" was published in Amazing Stories in May 1964. She also wrote several novels, including two novels featuring an intergalactic female detective, Sibyl Sue Blue. In Galactic Sibyl Sue Blue (1966 and 1968) and its sequel, The Waters of Centaurus (1970), Sibyl juggled work and a teenaged daughter, a dilemma familiar to many single moms. The Waters of Centaurus was published after her death. Brown also collaborated with Keith Laumer on the novel Earthblood (1966). Brown's stories and novels were well received by readers and critics. Her tragic and untimely death cut short a unique voice in science fiction. One can only guess how she could have influenced speculative fiction if she'd been able to continue her writing career, but surely (I'd hope) she would've had more stories featuring Sibyl Sue Blue and her intergalactic mysteries. Stop by #OurAuthorGang to read the latest post in Ruth deJauregui's Women in Science Fiction series! Today on #OurAuthorGang, author Ruth de Jauregui continues her series on women in science fiction. Another great post, Ruth. I've been around a while and I've never heard of Rosel Brown, and yet there she is! Thank you, Joe! I've added her to my massive "to-buy" list! +Ruth de Jauregui -- cool! You're welcome! Although her life was cut short, she was a prolific sci-fi author. So sad that she didn't have the opportunity to write more stories. Thank you for sharing! There's an amazing number of women who wrote science fiction, including Rosel George Brown. Sadly, her life and career were cut short. Stop by #OurAuthorGang and check out the latest in the Women in Science Fiction series. Great series Ruth! You're introducing women writers I never heard of and deserve the recognition! Thank you so much. I've added her Sibyl books to my "I have GOT to get this book" list. Rith, I really enjoy learning about all these brave women writer's. This is such an insightful series. I'm really enjoying the research and learning about these women -- the pioneers of science fiction. Thank you so much! Wow, what a great post about an amazing author, Ruth. 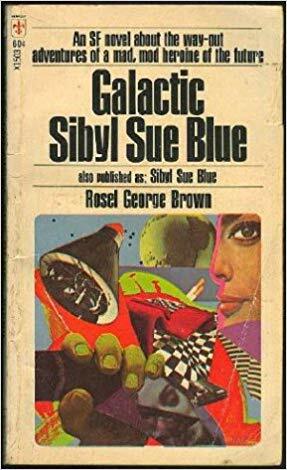 I'd never heard of 'an intergalactic female detective, Sibyl Sue Blue' before. Rosel was ahead of her time. I'd never heard of her before I started this series, so I'm going to add her Sibyl books to my wish list!! It's a fascinating topic!